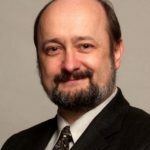 Dr. Alexander Waibel is a Professor of Computer Science at Carnegie Mellon University, Pittsburgh and at the Karlsruhe Institute of Technology, Germany. He is the director of the International Center for Advanced Communication Technologies (interACT). The Center works in a network with eight of the world’s top research institutions. The Center’s mission is to develop multimodal and multilingual human communication technologies based on advanced machine learning algorithms to improve human-human and human-machine communication. Prof. Waibel and his team developed many statistical and neural network learning algorithms that made a number of communication breakthroughs possible. These included early multimodal interfaces, first neural network speech and language processing systems, the first speech translation systems in Europe&USA (1990/1991), the world’s first simultaneous lecture translation system (2005), and Jibbigo, the world’s first commercial speech translator on a phone (2009). Dr. Waibel founded and served as chairmen of C-STAR, the Consortium for Speech Translation Advanced Research in 1991. Since then he directed many research programs in speech, translation, multimodal interfaces and machine learning in the US, Europe and Asia. He served as director of EU-Bridge (2012-2015), CHIL (2004-2007), two large scale European multi-site Integrated Project initiatives on intelligent assistants and speech translation services. He also served as co-director of IMMI, a joint venture between KIT, CNRS & RWTH. Dr. Waibel is an IEEE Fellow and received many awards for pioneering work on multilingual and multimodal speech communication and translation. He published extensively (>700 publications, >24,000 citations, h-index 80) in the field and received/filed numerous patents. During his career, Dr. Waibel founded and built 10 successful companies. Following the acquisition of Jibbigo by Facebook, Waibel served as founding director of the Language Technology Group at FB. He also deployed speech translation technologies in humanitarian and disaster relief missions. His team recently deployed the first simultaneous interpretation service for lectures at Universities and interpretation tools at the European Parliament. Dr. Waibel received his BS, MS and PhD degrees at MIT and CMU, respectively. Roberto Navigli is Professor of Computer Science at the Sapienza University of Rome, where he heads the multilingual Natural Language Processing group. 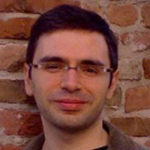 He was awarded the Marco Somalvico 2013 AI*IA Prize for the best young researcher in AI. He is one of the few Europeans to have received two prestigious ERC grants in computer science, namely an ERC Starting Grant onmultilingual word sense disambiguation (2011-2016) and an ERC Consolidator Grant on multilingual language- and syntax-independent open-text unified representations (2017-2022). He was also a co-PI of a Google Focused Research Award on NLP. In 2015 he received the META prize for groundbreaking work in overcoming language barriers withBabelNet, a project also highlighted in TIME magazine and presented in the most cited 2012 paper in the Artificial Intelligence Journal, a journal for which he is currently an Associate Editor. Based on the success of BabelNet and its multilingual disambiguation technology, he co-founded Babelscape, a Sapienza startup company which enables HLT in hundreds of languages.